Progress Lighting Cylinder Collection 2-Light wall sconce in antique bronze powder-coated finish, features cast aluminum metal construction. Metal shade of light brings elegance to the home. 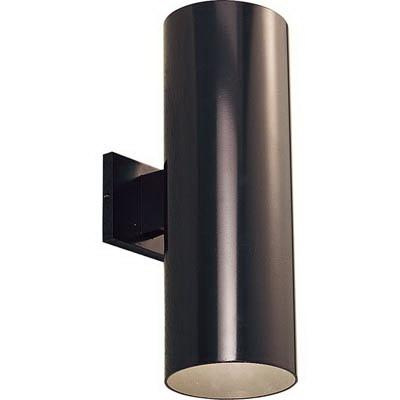 This contemporary/modern style sconce uses one 250-/150-Watt halogen/incandescent lamp. Medium porcelain socket lamp has voltage rating of 120-Volts. It measures 6-Inch x 8-7/8-Inch x 18-Inch. Wall mountable sconce comes with 6-Inch lead wire for hassle-free installation. It is ideal for outdoor lighting. Sconce is cCSAus damp location listed.